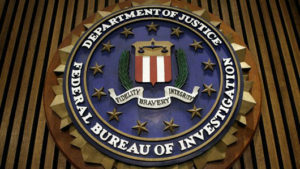 The Department of Justice and FBI will redact portions of Russia investigation documents that President Donald Trump has ordered to be declassified, a report said. The DOJ and FBI plan on submitting their proposed redactions to the Office of the Director of National Intelligence, which will then turn the documents over to the White House, Bloomberg reported on Sept. 19, citing sources familiar with the process. On Sept. 17, Trump ordered the release of 21 pages of a renewed surveillance warrant application against campaign associate Carter Page and all FBI reports on agent interviews (known as “302s”) with DOJ official Bruce Ohr. The order also includes public text messages from top officials, including former FBI Director James, Comey, tied to the investigation into Russia’s alleged election meddling. Trump ordered the messages released without redaction. “The Department and the Federal Bureau of Investigation are already working with the Director of National Intelligence to comply with the president’s order,” the White House said in a statement on Sept. 17.